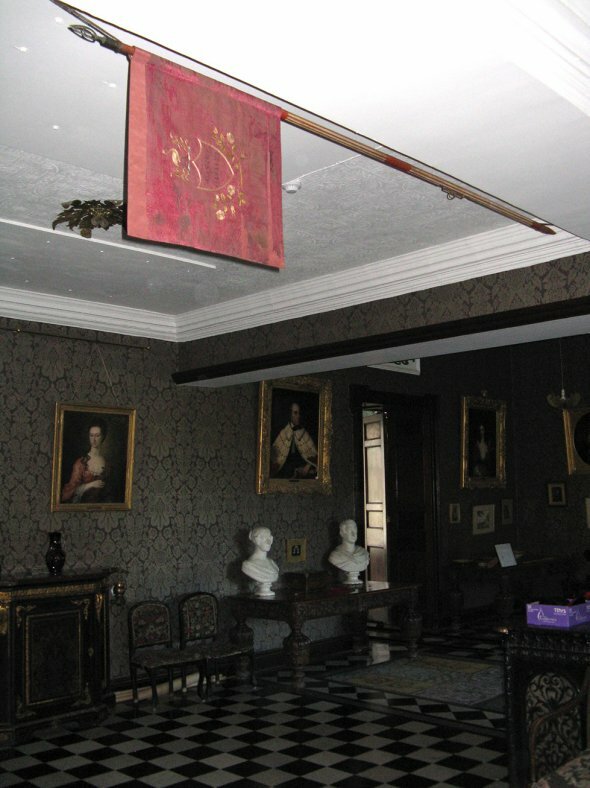 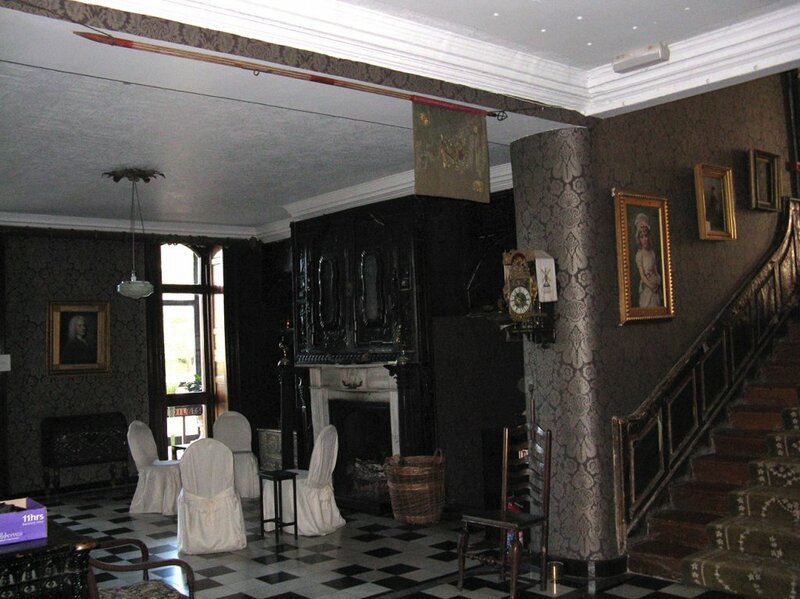 This Standard belongs to Bantry House, a privately owned historic house in County Cork, Ireland, which is open to the public. 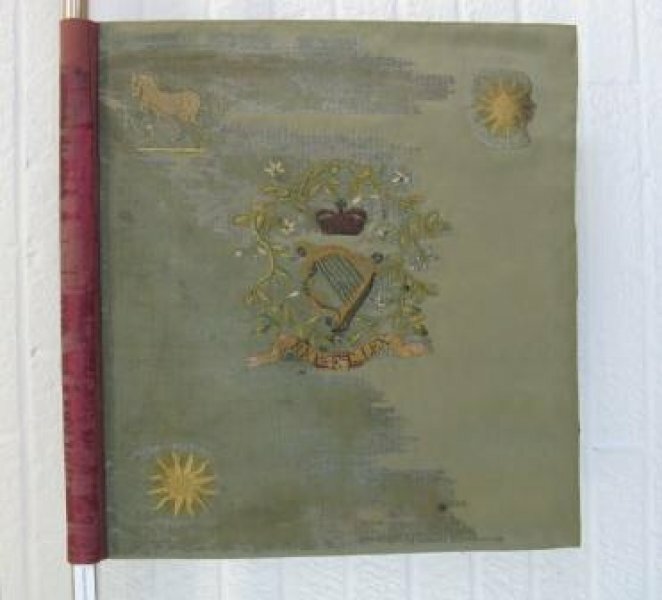 This is the Colour made for the Bantry Cavalry in 1796 raised by Richard White, landowner, to defend against the planned invasion by the French Armada, which in the event was foiled by bad weather. 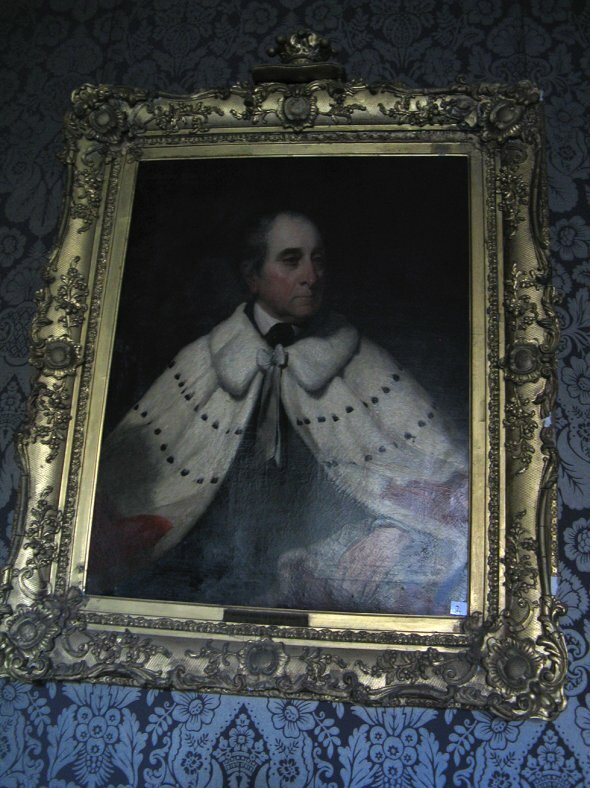 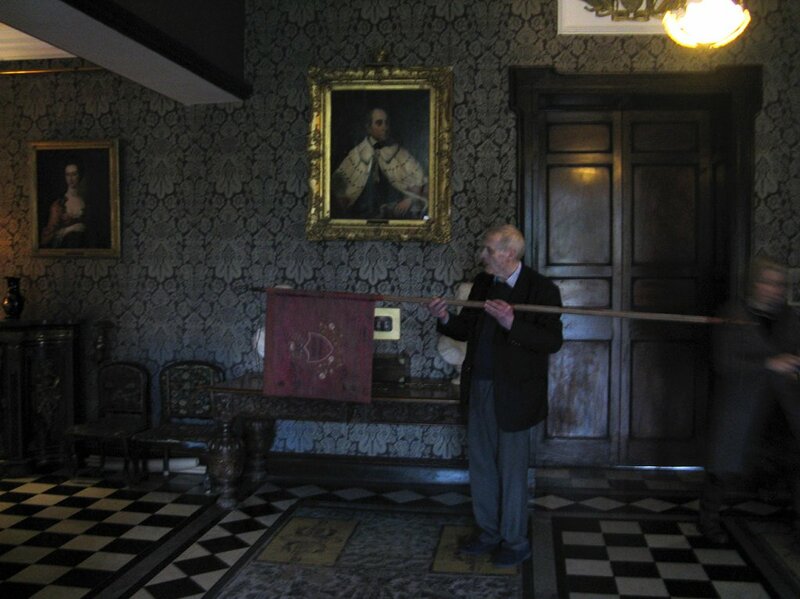 For this service Richard was awarded the title of Baron Bantry and later 1st Earl of Bantry. 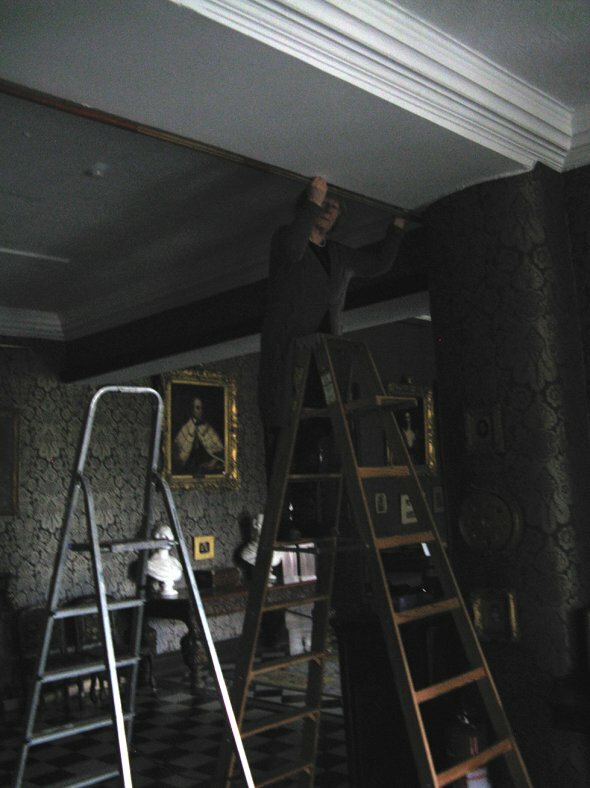 The Colour is made of silk satin. 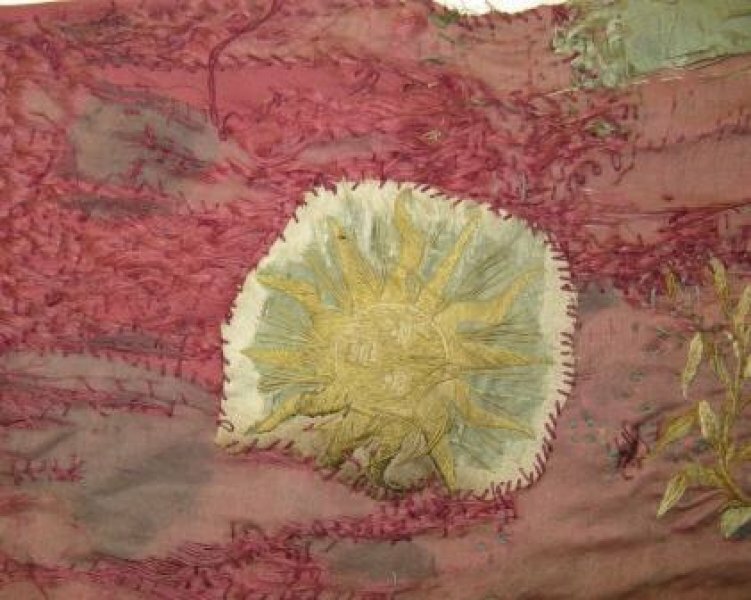 The face side was originally pale blue, now much faded, showing silk and goldthread embroidered coat of arms with motifs of a horse and sun in the corners. 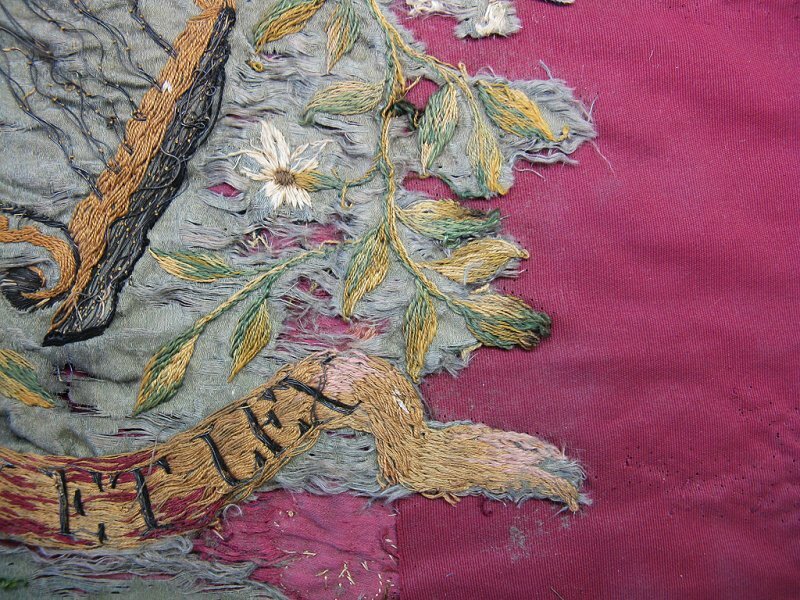 The reverse side is pink-red silk satin the the embroidered Bantry Cavalry coat of arms. 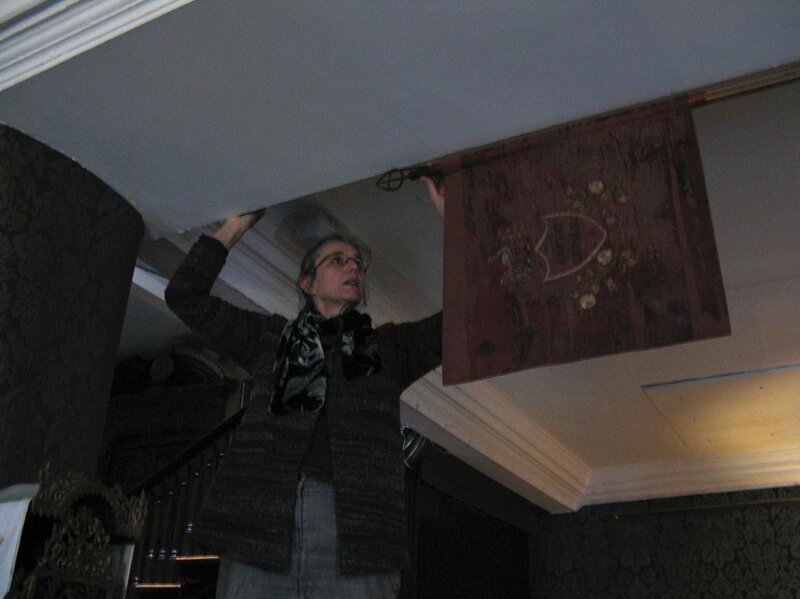 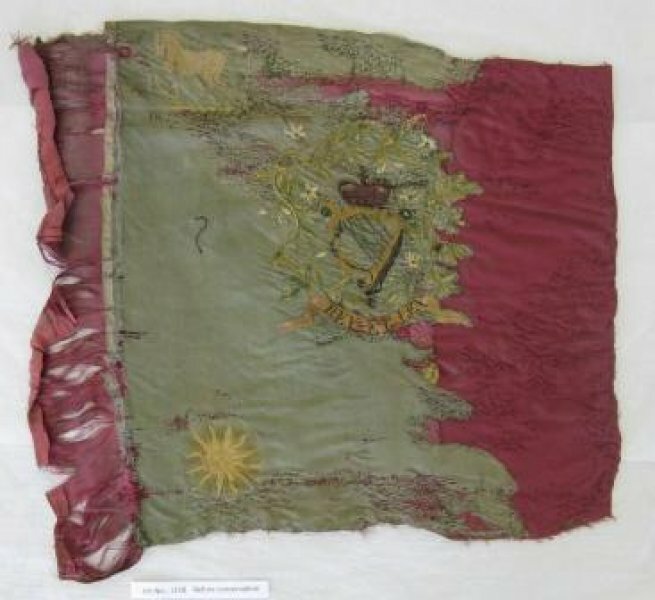 The Standard was severely worn and had been extensively repaired which had caused some distortion, and changed the appearance of the face side of the banner. 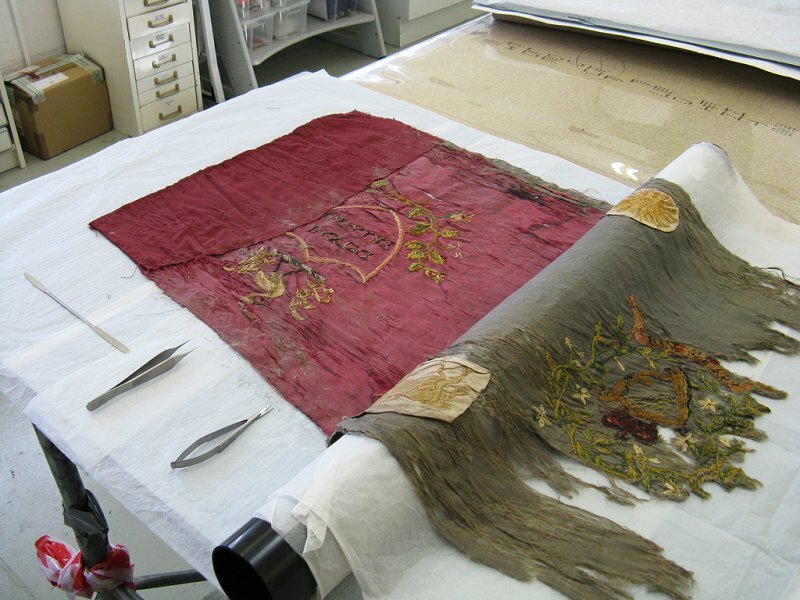 The colours were tested for wash-fastness and found to be safe, so the Standard was taken apart and each side wet-cleaned flat in a wash bath using conservation detergents. 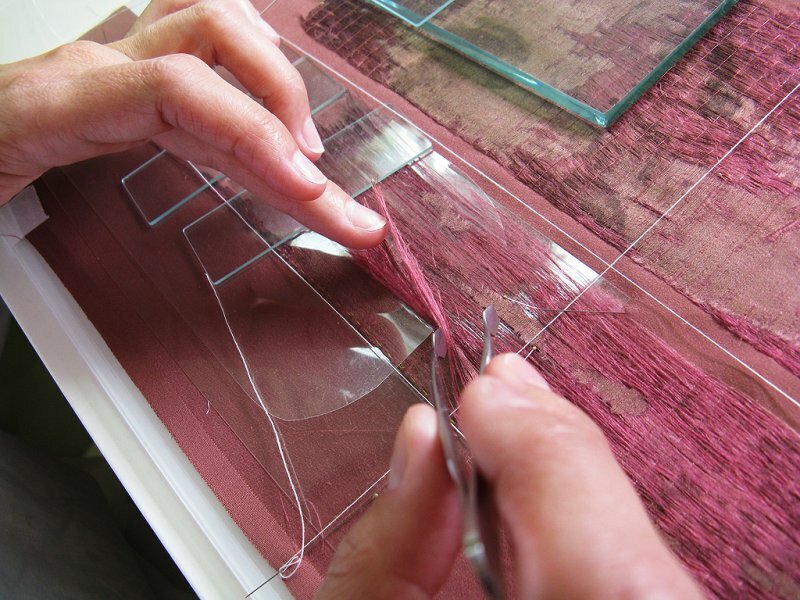 For the drying process the fibres were re-aligned to correct the distortions. 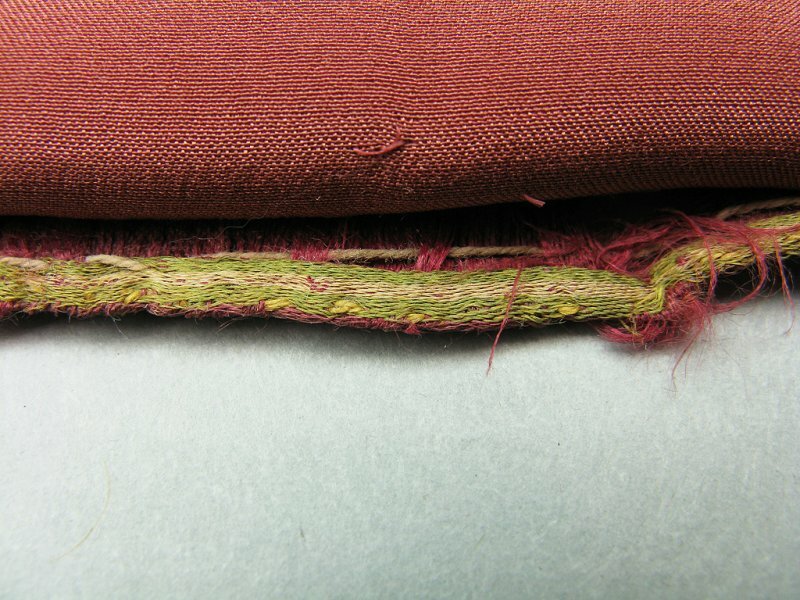 Silk satin support fabrics were dyed to match and each side of the Standard was stitched onto this by laid couching technique with a fine thread. 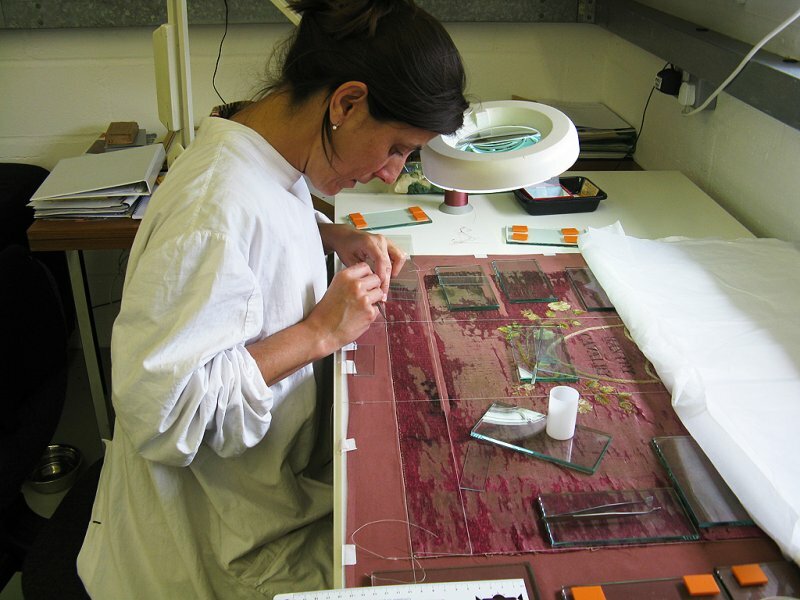 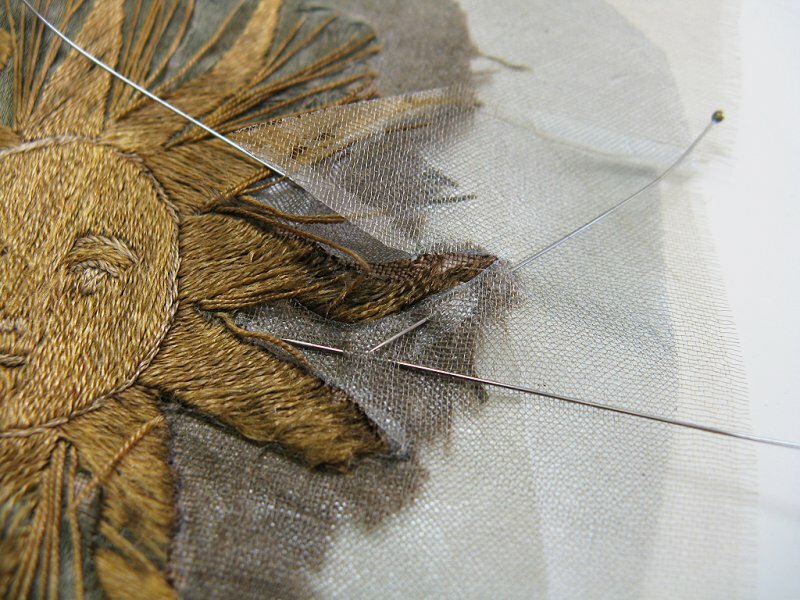 The stitching was all carried out flat on the table with a small curved needle. 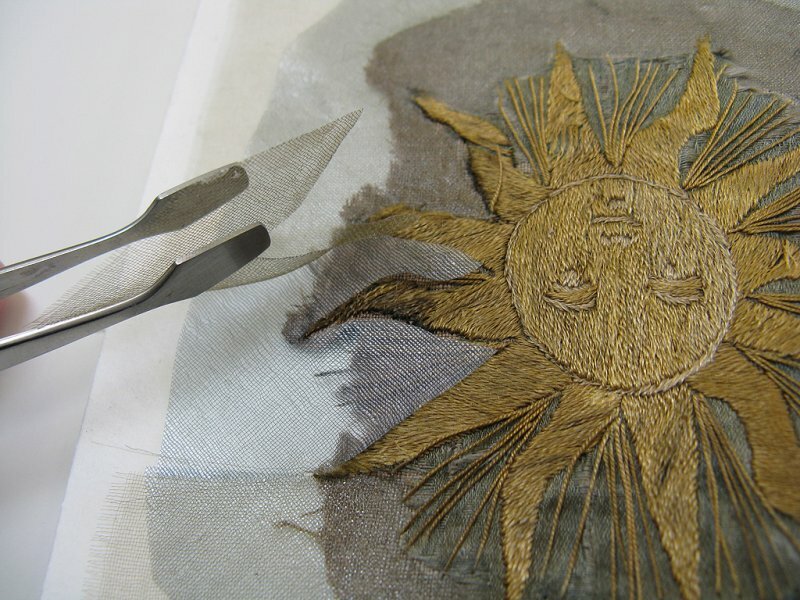 One of the sun motifs had been incorrectly stitched onto the reverse. 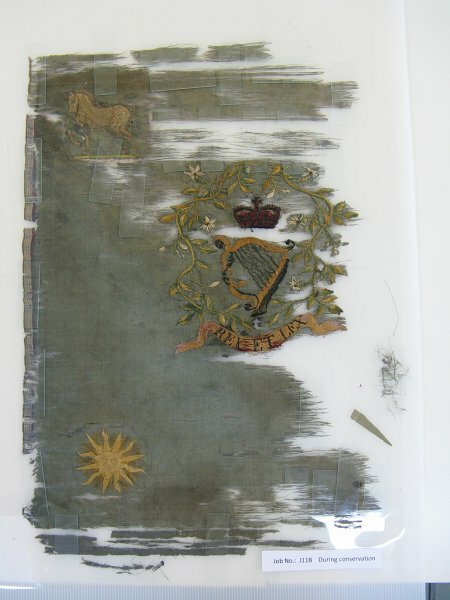 It was very fragile and needed separate treatment with a fine silk support fabric and adhesive, before re-applying it on the face side. 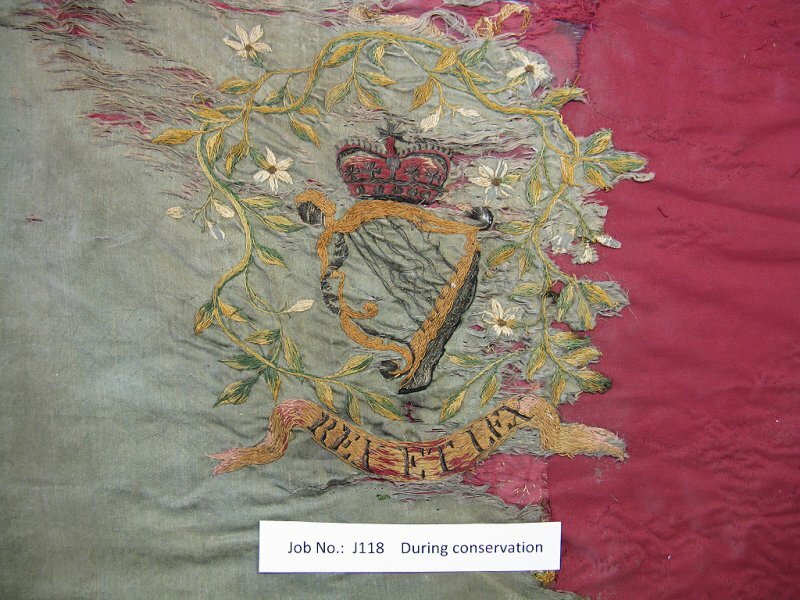 All parts of the Standard were covered with conservation net, dyed to match, for added protection when on open display at Bantry House.